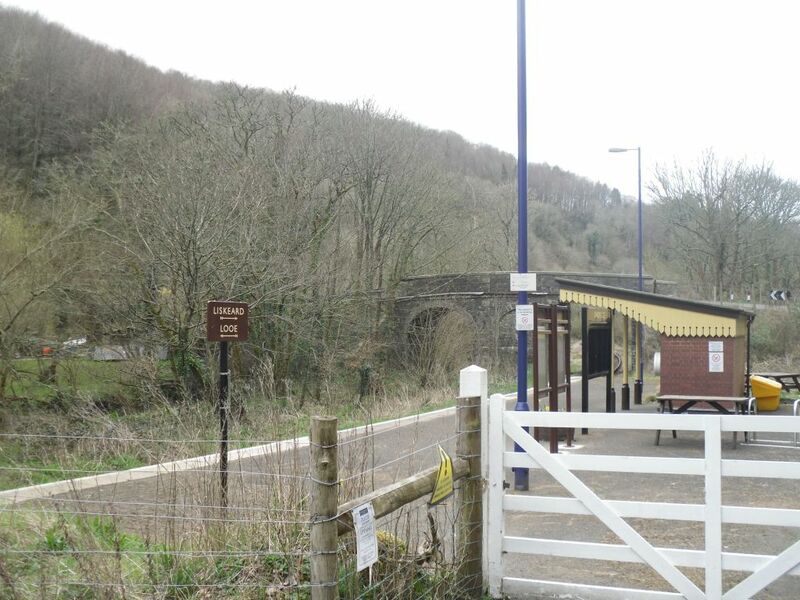 The Looe Valley Line service is provided by a single train shuttling up and down the branch. 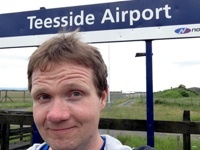 I assumed this meant the same train crew would be on duty all day and was prepared to blush a little while explaining my odd obsession to the guard. After all, I had already made myself stand out by boarding the train at Coombe Junction Halt. As it turned out, the friendly female guard from earlier had disappeared and a different person was now on duty. No conversation required, just a request to get off at the next station. Cringing avoided, for now at least. 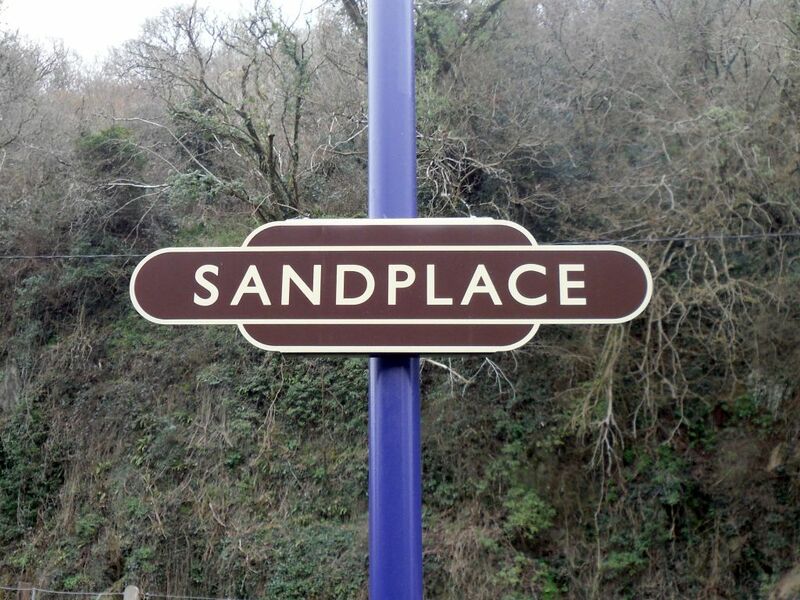 Sandplace is the penultimate station on the Looe Valley Line. 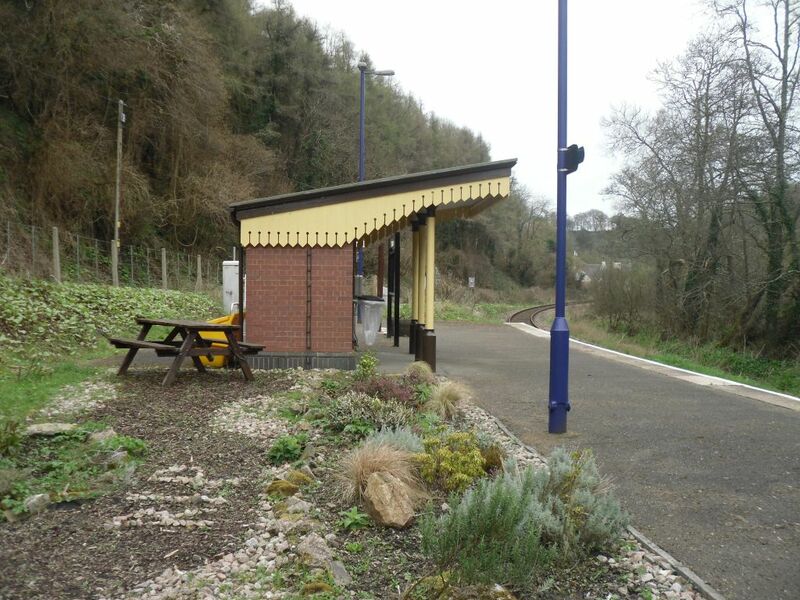 This one offers quite extravagant passenger provision – not just a waiting shelter in the same faux-GWR style as found elsewhere on the line, but also a small garden with a picnic table. It really is quite lovely. 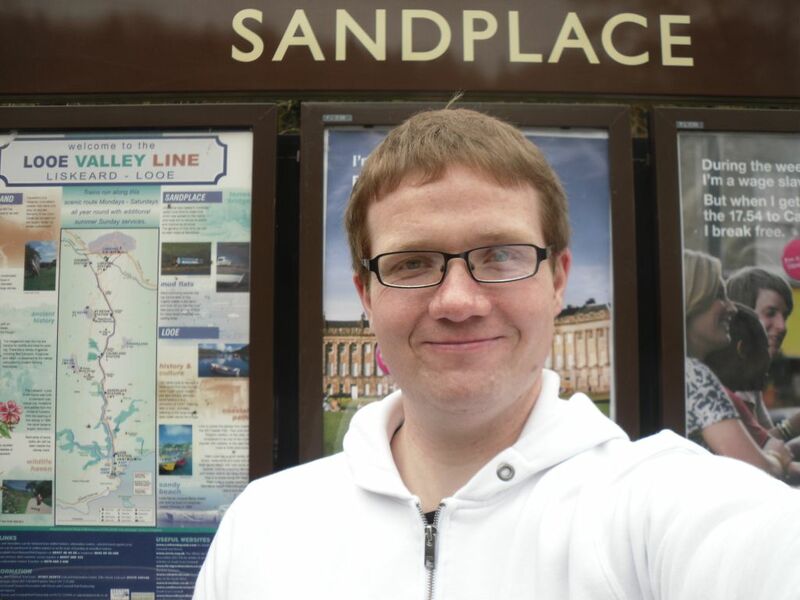 Beyond Sandplace, the railway runs onto a causeway with water both sides. It’s an intriguing bit of engineering, which was more or less forced on the line’s builders because of the course of the river along the valley floor. No time to hang around and study the construction though, as I decided to make way to Looe on foot rather than wait for the next train.